In the summer of 2001, Stephen Nettles(vocals) and David Torres(guitar) found themselves without a band. Their previous group, Bottled Fusion, had fallen apart after three years of playing in the Phoenix, Arizona scene. Towards the end of the band Stephen and Dave had already started to utilize many of the technological advances made in the music world. With home recording setups the two of them began to develop the sound that would eventually become Beyond the Now. By the end of 2001 the two of them agreed to start a new project together. By February the duo were joined by David Tesch(guitar) who had previously been a part of local favorites Tolerance. The three of them spent months writing and producing songs in a home studio. After many unfruitful auditions the three of them began to wonder if they would ever find a rhythm section who could handle the music they were creating. That changed when David Tesch discovered an online ad for a bass player and drummer. After a phone call a meeting was set up for October 23rd, 2002. The trio made their way to the home of H. B. Abels(bass) and Tom Whiting(drums). Tom and H. B. were veterans of the local scene as well and had been in the band Dharma Kaya. In addition to being experienced musicians, Tom and H. B. were also experienced engineers and the owners of local recording studio TallCat Productions. After the first meeting everyone agreed that the vibe was right and decided to move forward as a band. With four of the five members being knowledgeable engineers, the next few years were spent in the studio writing songs and honing the sound of the band. Beyond the Now began playing shows and testing out the songs they had spent so much time crafting. 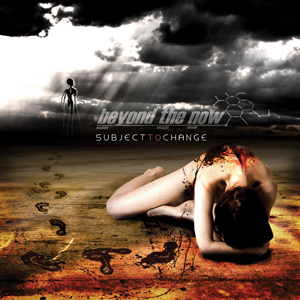 The response was very positive and the band moved forward with the recording of their debut album, Subject to Change. The album was officially released on February 13th, 2009. Word of the album and the bands live shows has quickly begun to spread and the band's online presence has grown immensely. 2009 is shaping up to be a successful year for the band. This will be the year the world learns to leave the past behind and move Beyond the Now.